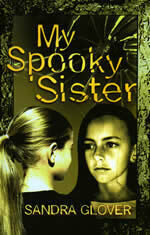 Winner of the Braunstone Book Award and the Stockport Book Award. How can an 8-year-old girl know the details of a murder that happened over 20 years ago? An unsolved murder, together with a detective who is ready to listen to an eight-year-old girl, make this an eerie and thought provoking read for those who like a ghostly twist at the end. 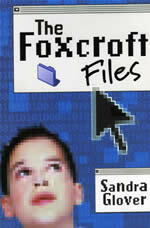 A well crafted mystery story with a rattling pace. 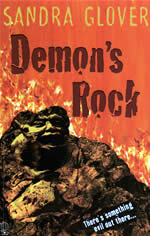 When a strange boy turns up at their house, Bug & his sister are drawn into the secrets of Demon’s Rock. The book’s beginning was like an addiction, you needed more so you read on. Zachary M Kirby…reviewing for the Lancashire Children’s Book Award. It's amazing because in every page it's tense and you just can't put the book down. I would recommend it to everyone. 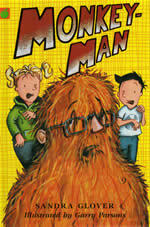 A hideous hairy creature is on the loose and only Max & his sister know its secret. What could be worse than starting a new school where your dad is the head-teacher? 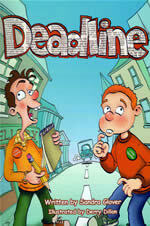 Scott and Joss are determined to find a crime story for their school newspaper. After two attempts result in total chaos, they stumble upon a real crime and realise their lives are in danger. Deadline is such a brilliant book. It’s one of the best books I’ve ever read. 10/10. Jason thinks that the e-mail from an alien just has to be a practical joke. But is it a prank or something much more scary? e[t]mail is great fun, but also a book which could provoke a discussion on the importance of being aware of the real dangers of the internet.